On Monday, the International Court of Justice at The Hague, Netherlands began hearing India’s application seeking a stay on the execution of former Indian Navy Officer Kulbhushan Jadhav, who was sentenced to death by a Pakistani Military Court on espionage charges. In India’s corner at The Hague were Joint Secretary (Pakistan-Afghanistan-Iran) Deepak Mittal (Principal Agent), Joint Secretary VD Sharma (Co-Agent), Salve (Counsel), Kajal Bhat, first secretary, Embassy of India in the Netherlands (Advisor) and Chetna N. Rai (Junior Counsel). Pakistan’s team was be led by Attorney-General Ashtar Ausaf, assisted by Senior Lawyer Asad Rahim. Both sides were given 90 minutes to make their observations before the 11-Judge Bench. Mr. Mittal told the Court that Mr. Jadhav’s execution will cause irreparable damage to rights of India and Jadhav, emphasizing on the fact that Pakistan has failed to provide the charge-sheet, a copy of the verdict, and other documents on the case, despite repeated requests. “It is clear that Jadhav has been denied of his right to seek legal counsel. Jadhav's parents have applied for a visa to travel to Pakistan, which has fallen on deaf ears,” he was quoted as saying. Mr. Sharma highlighted the fact that Pakistan had failed to comply with its legal obligations by denying consular access to Mr. Jadhav ever since he was arrested in March, 2016. Plausibility context in Costa Rica v. Nicaragua. In Paraguay v. USA, wherein the Government of US was asked to take steps to give rights of access to the Paraguan national. In Germany v. USA, the Court held that execution of the German national was an irreparable damage to justice. “Graver the charges, greater the need for continued adherence of Vienna Convention,” he was thereafter quoted as saying, asserting that rights under Article 36 are sacrosanct, and that rights of consular access are significant in human rights and international law. He therefore demanded legal representation for Mr. Jadhav, and asserted India’s claim that Mr. Jadhav was kidnapped from Iran and his confession was extracted in a military custody. He thereafter submitted that India has a strong prima facie case on merits, seeking restitutio integrum (restoration to original condition). Mexico v. USA, wherein the ICJ had found USA guilty of violating its obligations under the Vienna Convention, by denying legal representation from Mexico from meeting the latter’s citizens. The ICJ had ruled that by “not notifying the appropriate Mexican consular post without delay of the detention of the 49 Mexican nationals”, Mexico had been denied its right to “render assistance provided for by the Vienna Convention to the individuals concerned”. Nicaragua v. USA, wherein the ICJ had ruled that the USA “by training, arming, equipping, financing and supplying the contra (right-wing militant groups) forces or otherwise encouraging, supporting and aiding military and paramilitary activities in and against Nicaragua, has acted, against the Republic of Nicaragua, in breach of its obligation under customary international law not to intervene in the affairs of another State”. Germany v. Italy, wherein Italy had failed to respect its jurisdictional immunity by allowing civil claims to be brought against it in Italian courts for Nazi-era war crimes. ICJ had ruled that Italy could not ignore German immunity, and ruled that the decisions of Italian courts infringing the German immunity have to be rendered void. 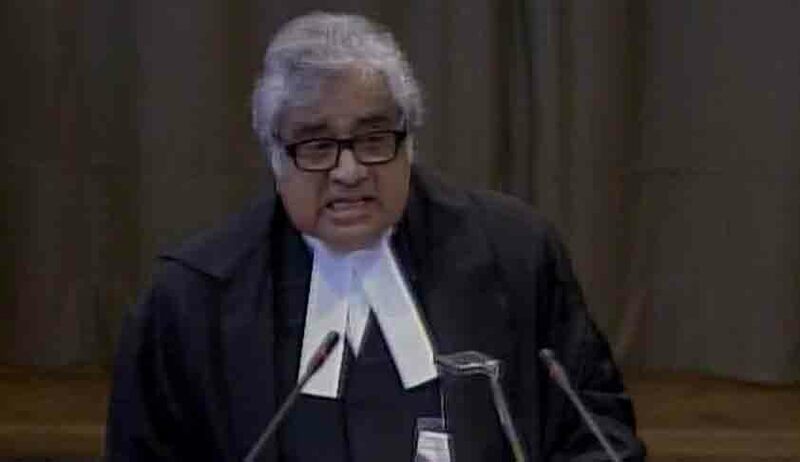 Alarmed by the indication of the intelligence community in Delhi that Pakistan was speeding up Mr. Jadhav’s execution, Mr. Salve presented an intense briefing to the ICJ Registrar for close to 20 minutes, attempting to invoke Article 41 of the ICJ Statute and Article 74(4) of the Court rules. Article 41 empowers the ICJ to issue any provisional measures for preserving the rights of the parties, pending the final decision. Article 74 states that a request for indication of provisional measures (interim relief) shall have priority over all other cases. A dramatic dash had thereafter resulted in the ICJ asking Pakistan to tie its hands on the Military Court’s sentence to Mr. Jadhav. “In my capacity as president of the court, and exercising powers conferred upon me under Article 74, paragraph 4, of the rules of the court, I call upon your Excellency’s government, pending the court's decision on (India’s) request for the indication of provisional measures, to act in such a way as will enable any order the court may make on this request to have its appropriate effects,” the President’s directive reportedly said. Represented by QC Khawar Qureshi, Pakistan today challenged India’s claims on three counts: there is no agency, the relief that is sought is manifestly unavailable and the jurisdiction is limited. He submitted that the ICJ cannot decide on national security, citing the 1999 aerial incident. He refuted India’s allegations of violation of the Vienna Convention, submitting that consular access between India and Pakistan shall be solely decided on the basis of the 2008 bilateral agreement. He further submitted that the Convention’s provisions do not apply to a ‘spy’ involved in terror activities. Mr. Qureshi contended that India has been fielding arguments based on misrepresentations and contradictions, using ICJ as the scene of political theatre. He further asserted that Mr. Jadhav was caught in Balochistan, and denied to have imposed any condition as far as consular access was concerned. Its request for playing Mr. Jadhav’s confessional videos was however rejected by the ICJ. Furthermore, presenting Pakistan’s case, Mohammad Faisal, DG, South Asia & SAARC sought to harp on the terrorism trope while making the case why the ICJ has no jurisdiction over an issue that concerns Pakistan’s internal security, and hence should be governed by Pakistan’s local laws within the bilateral framework. Pakistan went on to question India’s silence over Mr. Jadhav’s passport, and accused India of using the media to drum support for him. It also alleged that India is using ICJ as a stage for political reasons. It thereafter labeled India’s petition as “time-wasting tactics” and “political grandstanding” and called upon the International Court of Justice to dismiss the petition.